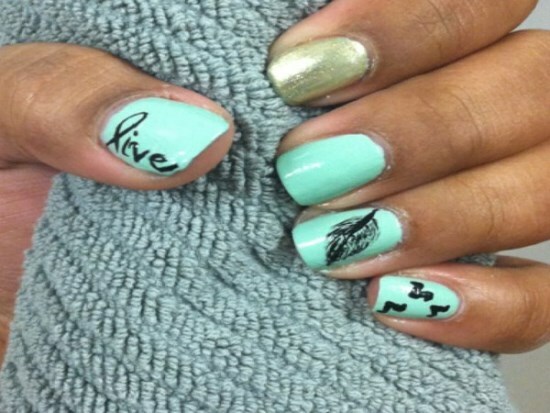 Feathers carry deep meanings for many, right from the Native Americans to Christians. 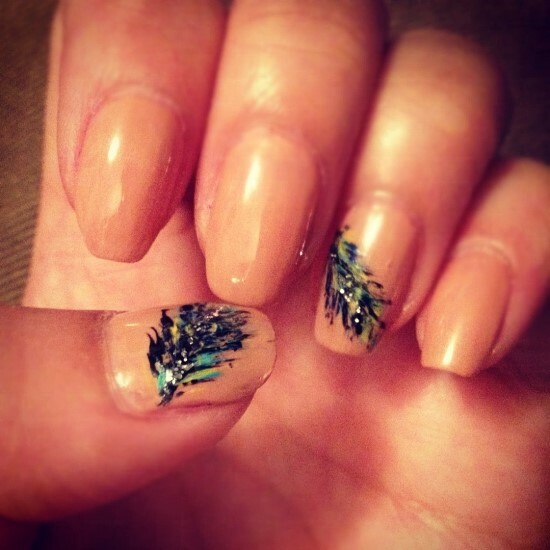 Feathers are in general believed to be sacred and carrying spiritual powers within. 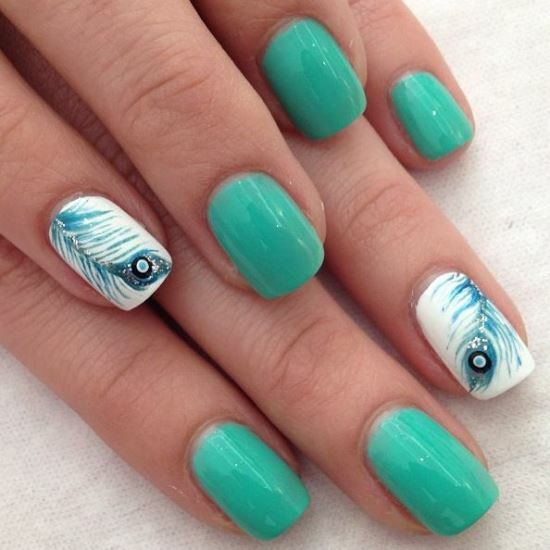 Birds are a symbol of freedom and hence feathers of these birds are often associated with freedom. 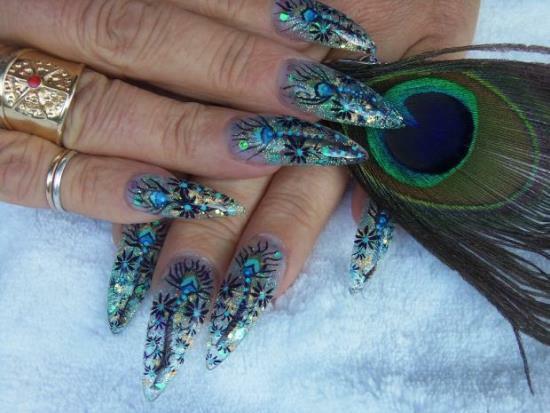 People who believe in spiritual powers and depth of our universal powers often resort to using feathers to symbolize their beliefs. 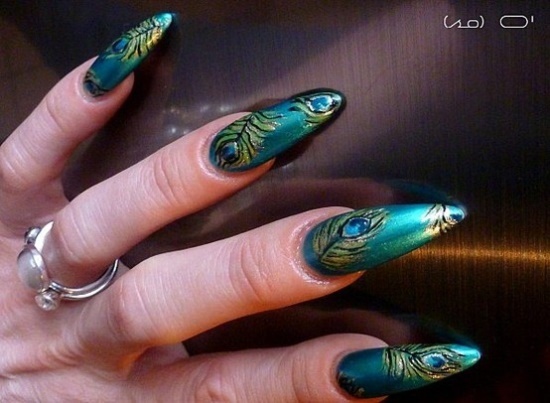 Feather nail art is one such form of expression used by women other than tattoos. 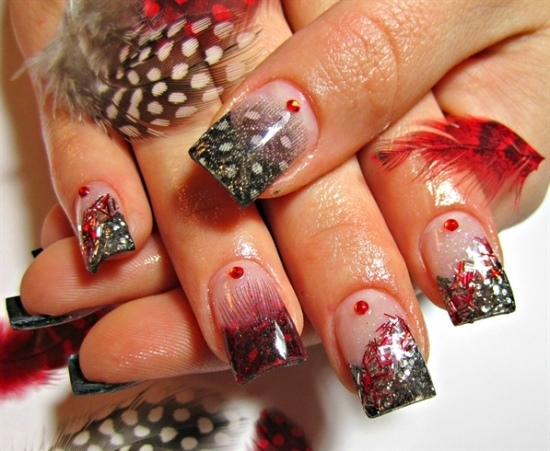 You can choose your feather designs based on the meaning each of the feathers carry. 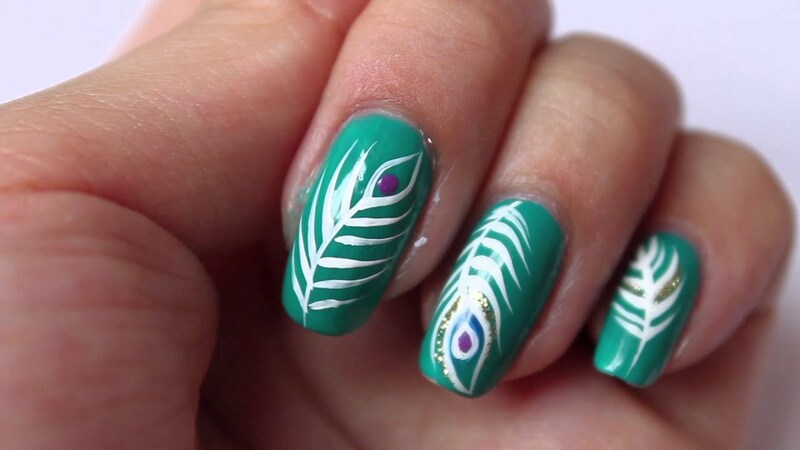 Feather nails look quite classy and elegant along with bringing in an element of fun owing to the bright and attractive colors you can use. You may not be using all of these feathers on your nails all at once but you always have a chance to use these symbolic feathers for your feather nail art some time or the other. 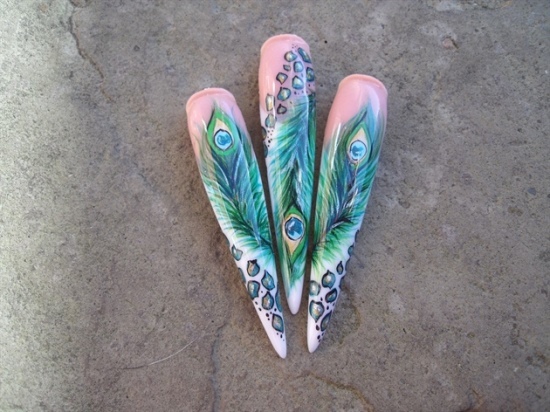 Carrying these feathers on your nails may carry a deep meaning to yourself or you may carry them for their mere attractiveness and the fun element that they bring along with it. 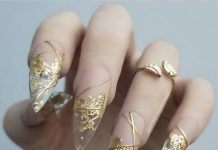 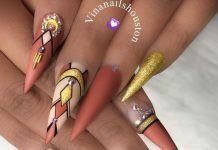 You may also want to indulge yourself into coming up with creative feather nail designs for certain events such as cabaret performances you might be going to. 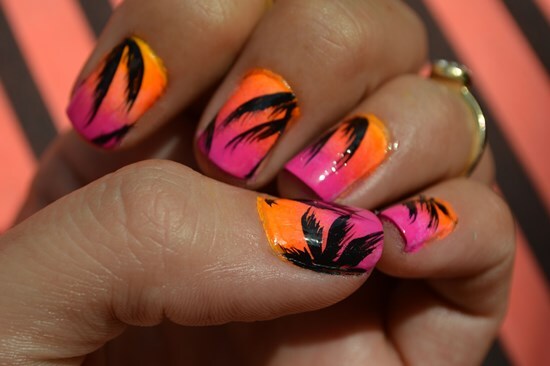 Carnival parties or parades are also events that see a lot of feathers and taking advantage of it, you can blend right in with your feather nails. 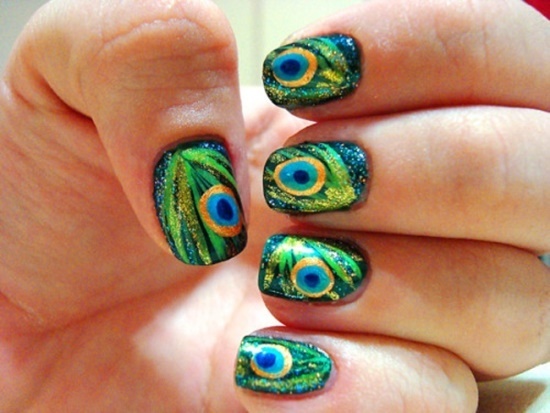 Colors are of course no bar when it comes to painting feather designs on your nails. 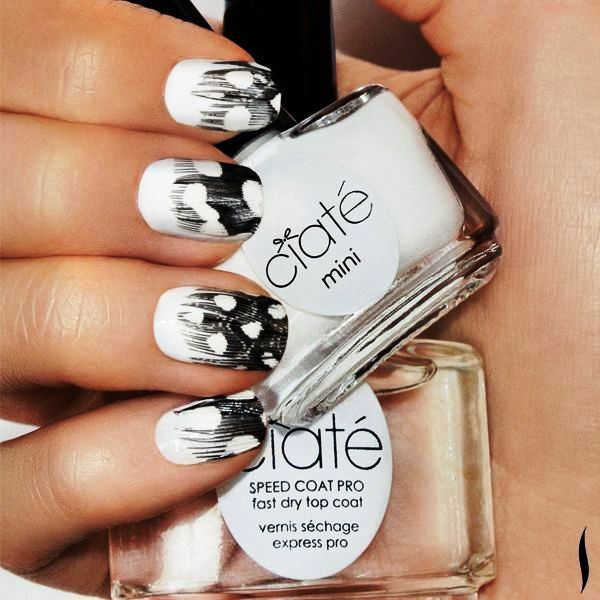 From pastel or neon to bright, monochrome to colorful, you can choose just about any from the pallet to paint on your nails. 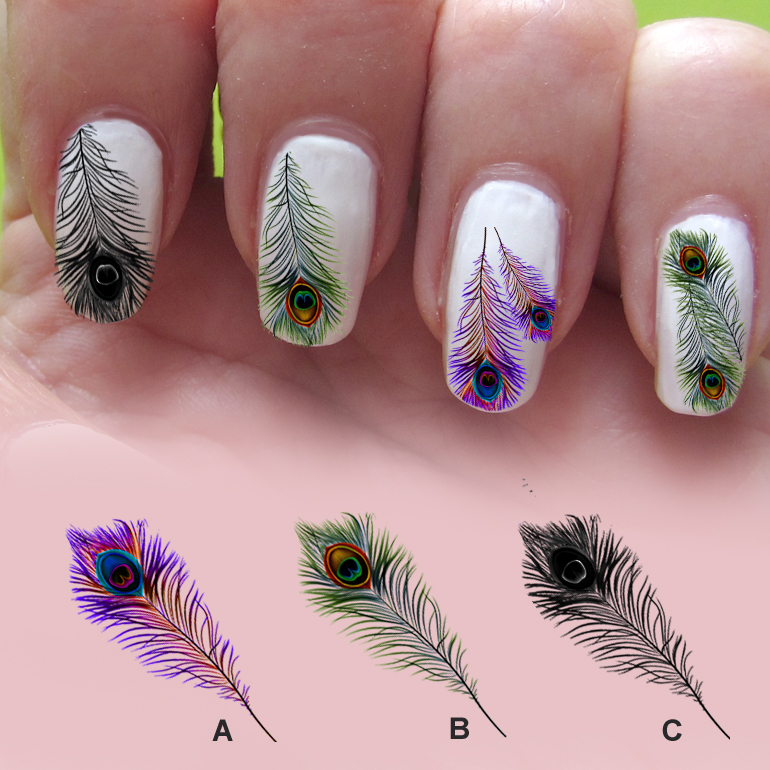 You can also choose the colors original to your choice of feather that you are to paint on your nails. 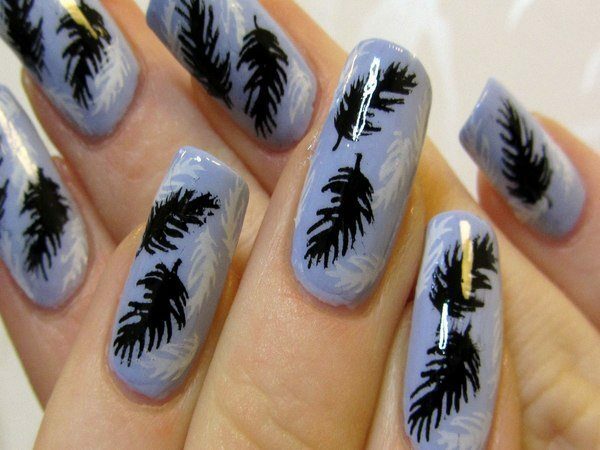 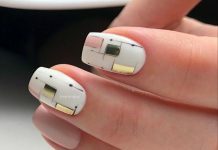 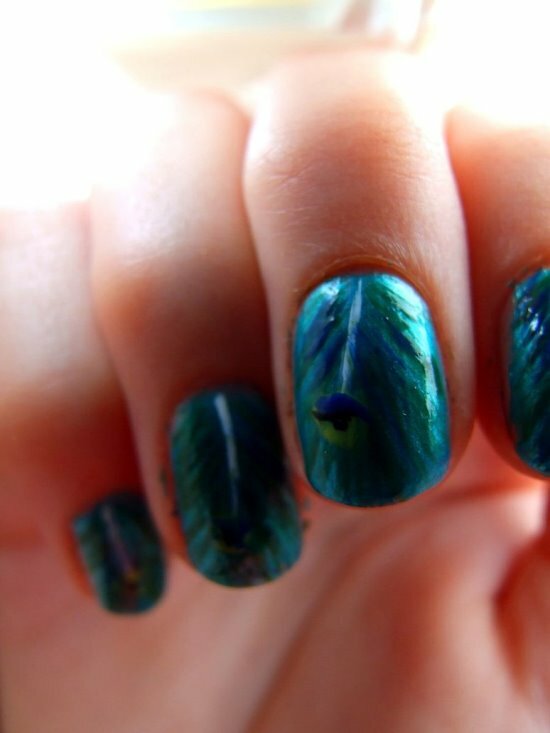 If you find yourself not so good at actually painting feathers on your nails, you can always resort to feather nail stickers or decals that are available. 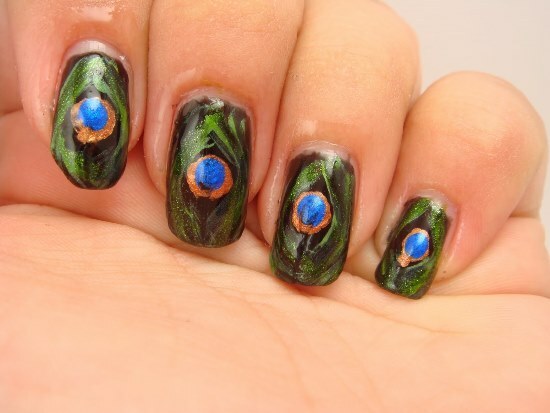 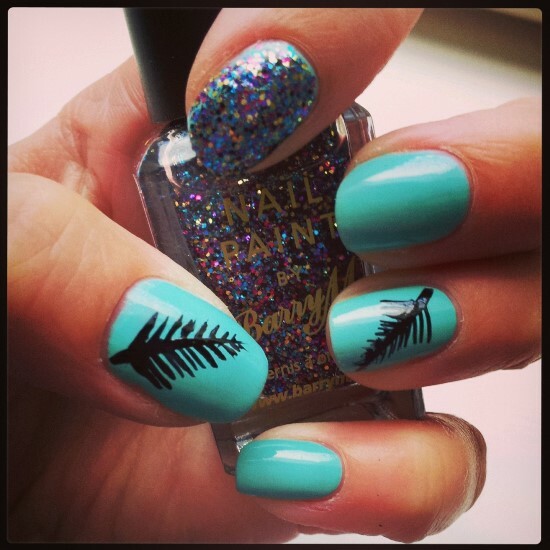 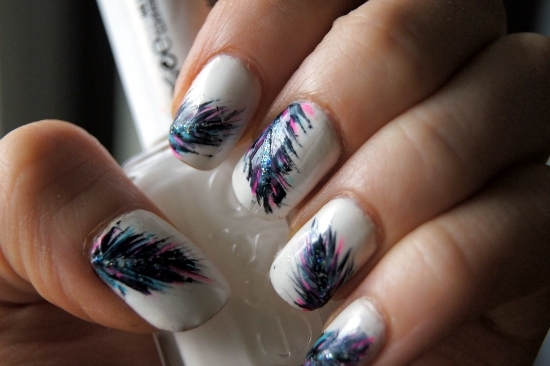 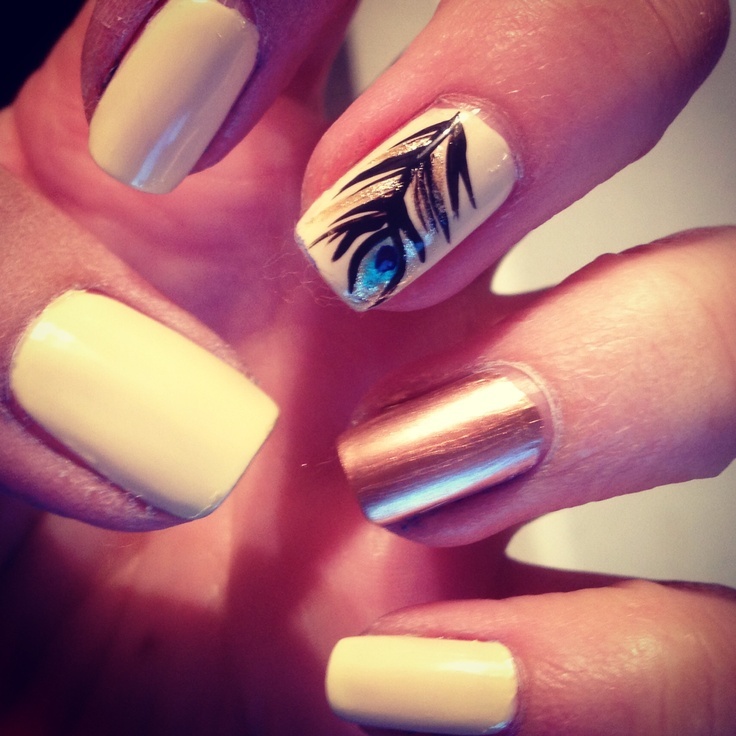 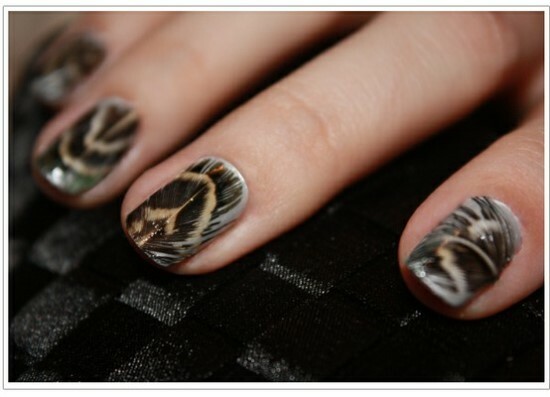 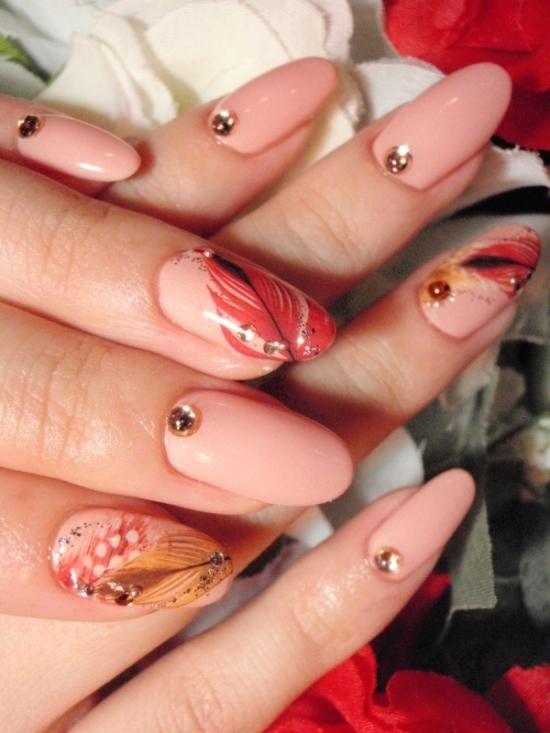 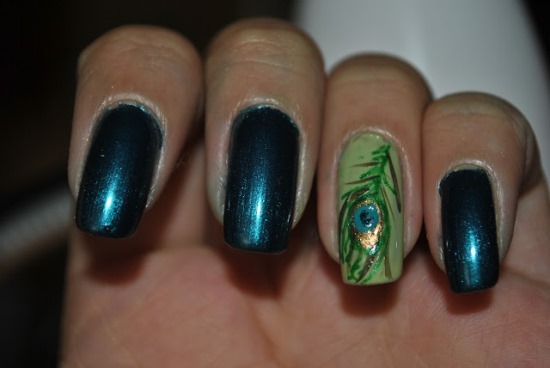 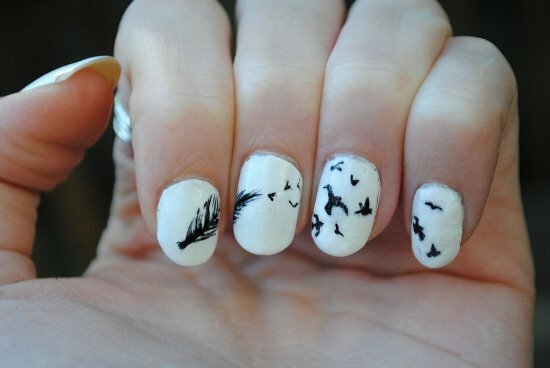 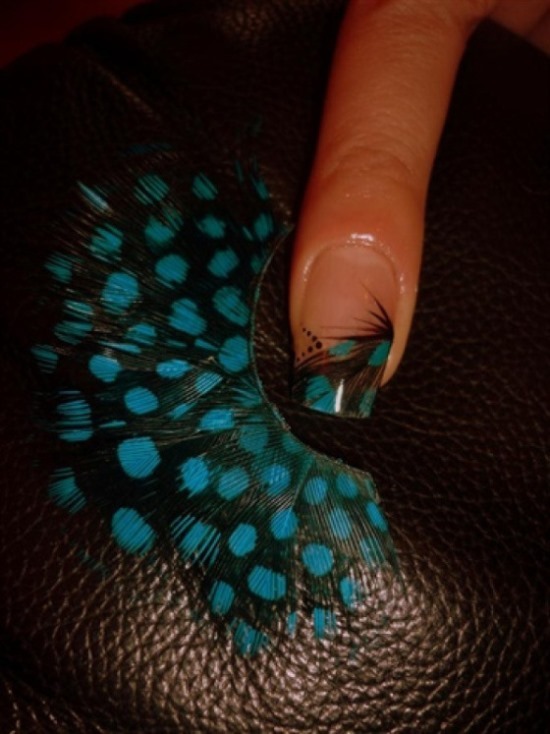 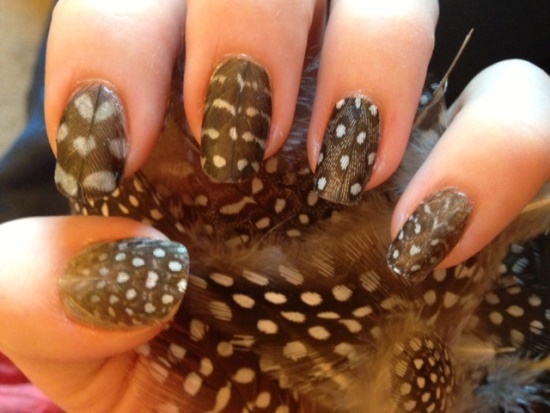 You can also accomplish your feather nail art using real feathers on your nails. 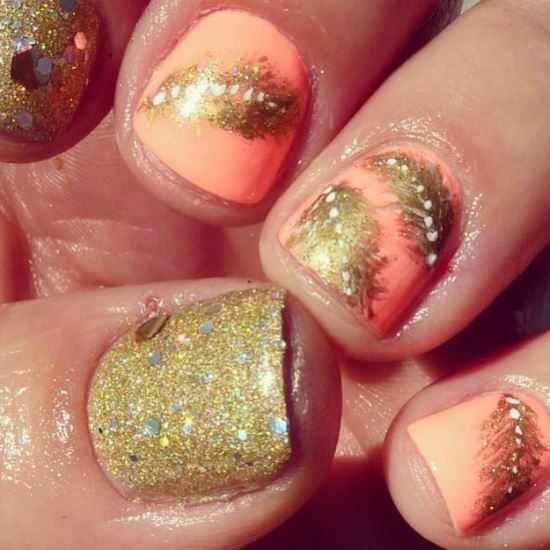 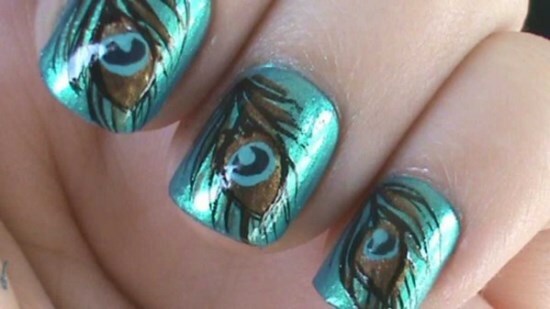 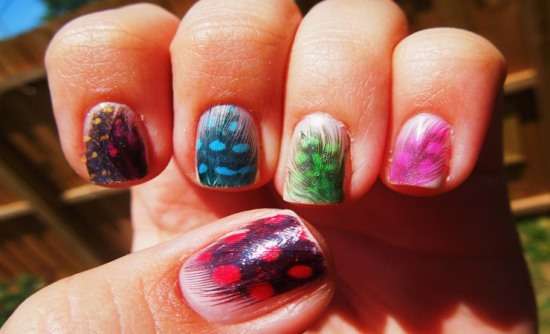 If you think about it, you’ll come up with ample ideas for your nail art. 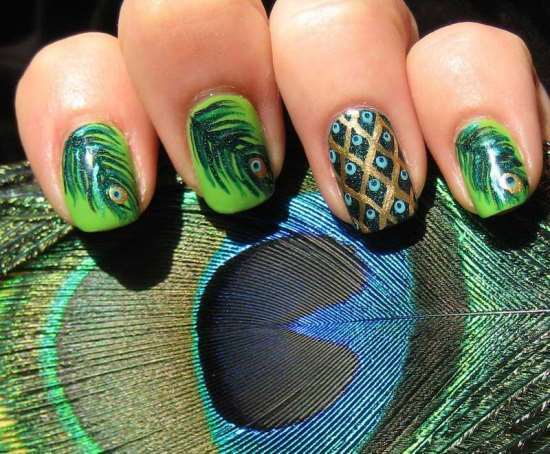 Here are some 40 creative feather nail art ideas for you to choose from and apply on your nails.